Meet Dance/USA's Fellows in Dance Archiving and Preservation! This pilot program creates opportunities for archiving students to get mentorship and hands-on experience working with dance research collections and assisting artists and dance companies to preserve and organize their archives. Carolina Meneses is pursuing a master’s degree in library and information science at UCLA, specializing in archival studies. A second generation Cuban-American from Miami, she received her BA in comparative literature at Smith College where she focused on the intersection of memory, dance, and language. After college, she participated in an archival internship with a dance company based in New York City, which became the foundation for her interest in the contradictory nature of preserving the ephemerality of dance performance for research and reproduction. Carolina is excited to build upon her earlier archival experience and learn standards and best practices at UCLA Library Special Collections. Moreover, she is determined to apply her new knowledge and expertise to empower a local dance artist or arts organizations with the advantages of an organized and accessible archive for their legacy. Carolina’s more long-term goals include creating practical solutions to the challenges of capturing and making discoverable ephemeral collections so that they may successfully enter a national and international network of cultural exchange and distribution of cultural heritage documents. Carolina is also the recipient of a Mosaic Scholarship from the Society of American Archivists, which provides support for minority students pursuing graduate studies in archival science. 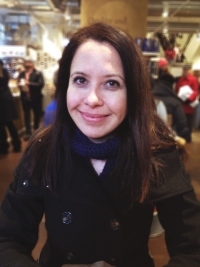 Read Carolina's blog about her Fellowship here. Daina Coffey is a Ph.D. 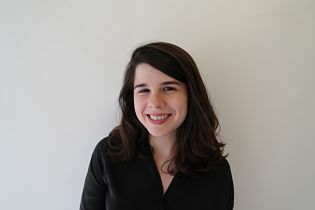 Candidate studying U.S. history at the University of Chicago, where her teaching and research focuses on race, gender, and capitalism as well as urban and legal history. Deeply interested in digital preservation and records management, issues of accessibility, and curatorial practices, she has worked at a number of archives including the Bancroft Library at U.C. Berkeley, the Seaver Center for Western History Research at the Natural History Museum of Los Angeles, and the Special Collections and Research Center at the University of Chicago. Daina is thrilled to develop her archival skill set through working with local artists and dance-legacy materials at the Chicago Dance History Project this fall. Read Daina's blog about her Fellowship here.